Gas stoves in our days, gradually replaced by electric. Particularly noticeable this process in major cities. Therefore, quite frequent cases when young mistress, for the first time confronted with a gas stove, get scared and do not know how to handle it. This applies in particular to the work of the oven. Often people don't even know how to turn on the oven in the gas stove. In fact, nothing complicated in the treatment of a gas stove there. Despite the relative simplicity of the device these plates are reliable, comfortable and efficient when cooking. And instant ignition and reaching high temperatures even give certain advantages to gas stoves over electric. So if you are in economy has got a gas stove, do not hurry to upset or nervous – no particular skills necessary. As with any other appliances before you begin using the stove it is advisable to read available to her instructions and technical passport. This will allow to solve many questions and to gain confidence. In contrast to electric gas oven usually ignited from open flame. Of course, except in those cases where the stove for it is the ignition, then you will need only one button to activate. If not, will have to light the oven manually. It is not difficult. 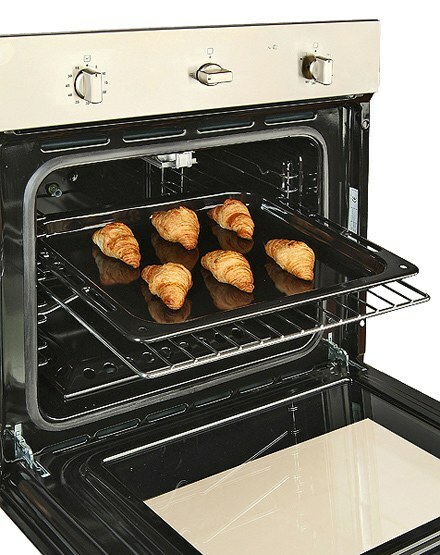 In most cases, the device of the gas oven includes one burner in the form of a curved tube with holes for flame-or two-tube burner on the sides. In order to know what design your plate, look in the data sheet. Then open the oven door and look under the bottom of the iron tray. Most likely you will see either one hole for ignition in the middle, or two on the sides. To light the gas oven, it is necessary to turn off the burner at the desired temperature in accordance with the specified tick marks. Then light a match or lighter and hold it to the burner. When you see the flame, you need to wait until it spreads the entire length of the burner or burners, and gently close the door. In some cases, the flame may go out when the door is closed. Then you need to light the oven again a little and hold it open until the gas is completely spread throughout the burner tube and the flame will not be smooth. 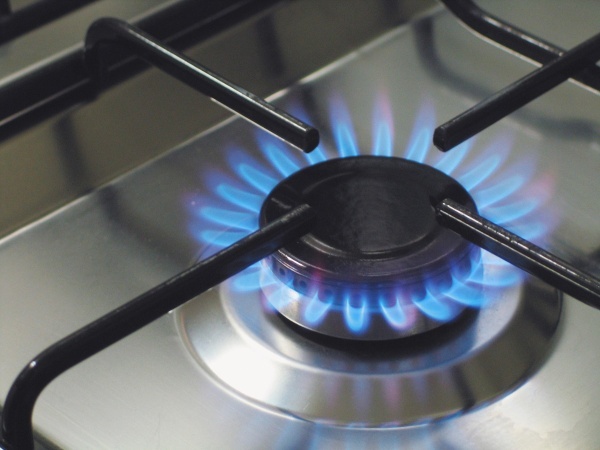 Gas stove is a traditional attribute of modern cuisine, although gradually being replaced by competitive electric hob. 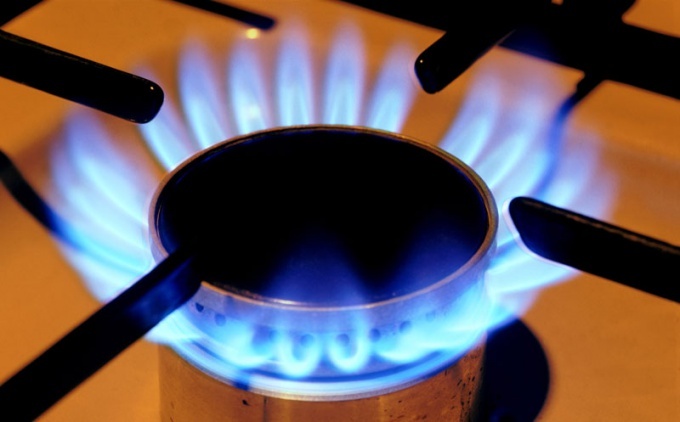 Heating food on the gas stove is due to the burning of gas coming from the burners. For ignition of the gas stove used a match. Check that all relays in idle state, that is, the gas has to come from the burners into the air. Ensure the operation of the gas stove. To do this, lift the valve of the gas pipe to allow the gas to flow freely to the burners. The symbols located above the burners, determine the access to the burner controls each relay (or button). Light a match, having spent sulfuric sulfuric head on strip on side of box. Rotate the solenoid (or click the corresponding button), a left near-right burner. Hold a match close to the burner. Once the gas comes on, remove your hand to avoid burns. On electric gas stoves instead of ignition matches, use the special button, supplying an electrical charge simultaneously to all burners. To light the stove, turn off any alarm and press the button (you may need to double or triple press). The gas will light. Electric stove — convenient and useful way to cook food. However, those who are accustomed to the gas burners, it can be difficult to comprehend the intricacies and peculiarities of electric stoves. Cooking on them has its own nuances that must be considered. Metal cookware with a flat bottom. Electric, in contrast gas heat set it on the dish entire surface of the burner. Therefore, it is very important that all pots, casseroles, pans and other utensils you use when cooking, was with a flat bottom. Therefore, the electric stoves are not suitable cauldrons and pans and raisins. Because of their convex bottom electric cooker warms up unevenly, so that the plate may deteriorate, and the food will be prepared much worse. Equally important is the size of the cookware. It needs as closely as possible to match the size of the burner on which you put it. If the difference is not more than half an inch, this is acceptable. However, it is worth remembering that in vessels whose diameter is slightly less than the burner, the food will be cooked faster, and if more slower. Conventional cast-iron "pancakes" slowly heat up and slowly cool down. In no case do not place the cookware on the burner, glowing red. Turn it off and wait a while until it goes off. However, this property can be used with advantage. If the dish you are cooking, you want to simmer on a slow fire, it can be very hot cast-iron griddle, and then just turn it off and leave to cool slowly. If the food, by contrast, requires rapid fire, it is best to preheat the stove and put the pan on the already hot "damn". And be sure to turn off the heating in advance before the meal is ready. The ceramic glass surface has its own characteristics. It heats up and cools down much faster than cast iron, so the landlady, accustomed to the gas, it will be much easier to occur with glass-ceramic. However, such a surface is even more demanding of the dishes. Do not use aluminum or copper pots — these metals easily interact with the glass ceramic and leave traces from which it is very difficult to get rid of. Enamel pot chipped on the bottom is also better not to put on a ring to avoid scratches. Try not to pour onto the hot ceramic glass panel salt or sugar and to shed water. Because of them, it can crack. If you have a stove with induction plates, cookware heat-resistant glass will remain cold. For induction cookers is suitable only metal cookware made of ferromagnetic alloys. You can check this with a simple magnet if it is attracted to your pot, so she's good. Induction cooker heats up faster than usual, so watch out for cereal, soup or other food, tend to escape when boiling. Cookware sold in stores, almost always has label, where specified, for what boards it fits. Carefully read these symbols or ask for advice from the sales assistant. Electric cookers are becoming increasingly popular among modern Housewives. Still, electric stoves are less dangerous than gas, but the cooking process is accelerating – it is heated evenly. But at first, many are faced with the problem of incorporating the oven. The main purpose of electrochoc is to prepare various types of dough products, poultry, meat and other food products. Read the manual and technical passport for the stove. This will allow to avoid many problems in the process of its application, and answer your questions. 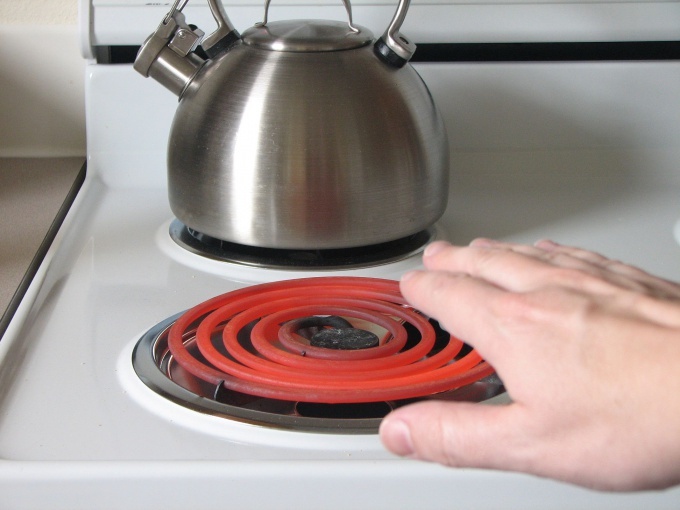 Unlike gas stoves, which can not do without matches or a special lighter (with the exception of plates with the ignition) to turn on the oven in the stove, you do this is not required. Electrochemi typically comprise an outer casing, including casing and base, and a heat-insulated chamber. The camera installed halogenowe or quartz heaters of various capacities (typically four heater with a capacity of 0, 3-0, 5 kW). The heating chamber is closed by a glass door, next to which is the control panel. In control panel, normally placed the lamp on the controller designed to set temperature and maintain it. Some models have a timer. It allows you to set the time required for cooking any meals. When the time ends, you will hear a beep and the oven off independently. Turn the stove on to the network. Set the thermostat dial to position the desired temperature for cooking a particular dish. The predetermined temperature is reached, load the tray with food. At the end of the cooking process, set the thermostat dial to the "0" position, remove the plug from the socket. Wipe the inner surface of electrochemi and trays as soon as they have cooled. In no case do not try to dowhen stove is plugged in. There is a risk of electric shock.